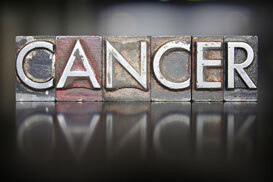 When it comes to cancer causes, you've probably heard about all types of toxins. Whether it's pesticides, fluoride, chlorine, radiation, and formaldehyde (just to name a few), toxins are finally becoming a recognized cause of cancer. But mainstream medicine has taken years to catch up to us integrative guys on one particular toxin. And you read about it here first. You were the first to read my warnings about iron. This heavy metal is not so friendly. In fact, one powerful study looked at a novel indicator of iron load called transferrin saturation. Transferrin is a protein that transports iron throughout your body. Transferrin saturation is a measure of how much of that protein is loaded up with iron. More is not necessarily better. In fact, research has shown that saturation levels of 60% or higher may pose a cancer risk. Up to three million Americans may be at risk at this level. Dr. Arch Mainous and his colleagues followed 6,300 adults ages 25 to 74 over a two-decade span, nationwide. At the outset, about 10% had transferrin saturation levels of 41% or higher. If they consumed more than 18 mgs of iron a day, their cancer risk doubled compared to men and women with lower iron stores and lower intake. Dr. Mainous suggested that if you are considering taking supplemental iron, that you first measure your transferrin saturation. I know that some doctors have encouraged you to eat all the red meat you want. I think that is unsound advice. You know I've been telling you differently for years. Now you see the science that confirms my recommendations. Iron is highly reactive. The body goes to huge lengths to contain it. When it leaks out of its containment, it can sit and degenerate cascades of free radicals and rust away your tissues. Considering that now 10% of the population is at risk, I think it's unwise to consume red meat as a primary food. It's almost like playing Russian roulette. If you just cannot loosen yourself from it, or think you could benefit from supplemental iron, please have your transferrin saturation checked. I've little doubt that not only is there a greater risk of cancer with these elevated levels, but of vascular and cellular degenerative diseases as well. If your iron levels are high, you need to take action immediately. I recommend my Advanced Detox Formula as a great starting point for removing toxins from your body. If this doesn't lower your levels well enough, you may need IV chelation therapy, which you can get from an integrative physician. Visit acam.org to find one near you. Annals of Family Medicine, March/April 2005.